Hey, it's me, that girl katie, Do you remember my Lamp DIY Disaster? 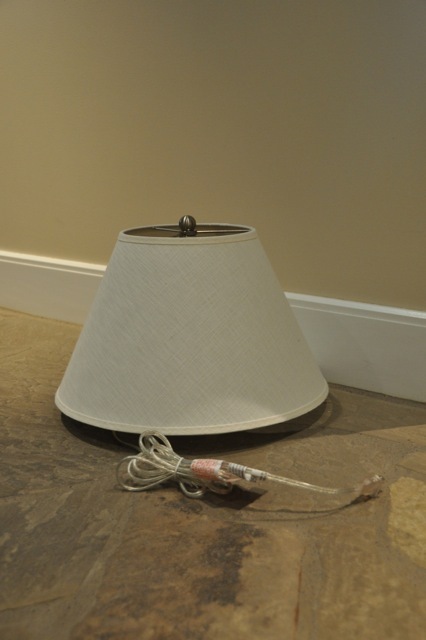 Here is the link of that post: http://www.thatgirlkatie.com/?p=753 Since I still had the lampshade that houses the electrical wiring to make the lamp work all I needed to do was find a perfect base. 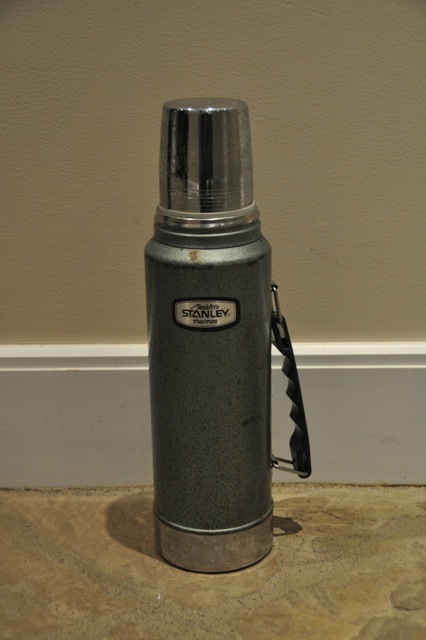 This summer while vacationing at my families cabin which happens to be my favorite place in the world I spotted a vintage Stanley thermos. I knew it would make the perfect solution to my lamp DIY disaster. Plus, it also houses a lot of awesome memories. But first, I had to get the "OK" that I could have it. After an intense review panel, I was indeed allowed to claim the thermos as mine. When I got home, I took the thermos to a local welder to cut a circle in the top of the base so the wiring would fit into the lid of the Stanley thermos. For me, decorating is all about mixing old items that have history with new functional items. I love this lamp and couldn't have purchased something so special. So, making the effort of piecing this together was completely worth my time and imagine it will be a family heirloom for many decades. Do you have any items that you have transformed into beautiful oops pieces?